September date yet to be confirmed. SPECIAL INFO: Please be aware that a few minor changes have been made to the terms and conditions. 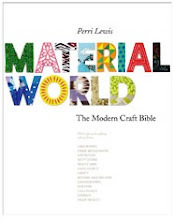 Contact us for more information and a new copy. Bookings for stalls are now open. Please let us know which date/dates you are interested in. Spaces are limited so be quick as these tend to go fast! Please note that all participants must be vetted before booking this is so we can maintain the quality standard for every one involved. "HAND MADE = QUALITY + INNOVATION + PROGRESS + FREEDOM! MASS PRODUCED = SUBSTANDARD WAGES + EXPLOITATION + LOW QUALITY TAT !" Get your designing hats on because we're looking for art work to be made into badges which we will sell at our events and all proceeds go back into the collective. Send you images via email and we'll get them made. 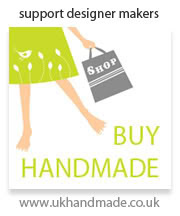 Can you knit, embroider, crochet, make interesting hand made craft with recycled materials, etc? If this is you or you know of anyone that can teach these skills then let us know! We're looking to set up workshops and Craft Evenings in the locality of Walthamstow Village. We've plans to hold our first DIY craft evening "Put the needle on the record" quite soon. It's a mix of crafty creations, DJ's...there's a "Guilty Pleasure" slot so bring those secretly loved tunes that you dare tell no one about ...drinks, socializing and lots of MERRIMENT! We've a venue lined up and we're only waiting for craft tutors to come forth. A small wage will go towards the tutors from the entry fee to be discussed prior to the event. On offer is the unique chance to hold monthly craft markets in the shop garden of "Beautiful Interiors", a highly successful, well established independent retailer in the heart of the vibrant and eclectic Walthamstow Village . Penny Fielding, herself an artist, is a proud sponsor of new artists and crafts people and her little treasure trove of a shop stocks lots of quality art and craft amongst a rich mix of vintage furniture, home wares, collectables, gifts and more. We're honoured to have been given the opportunity to set up the Craft Market and Co-host the events in association with "Penny Fielding Beautiful Interiors". It's all dependent on weather but we're hoping to start it all up in April. This monthly market will be held on a Saturday (yet to be confirmed) then that same Saturday each month through out the Craft Market season. Also on the cards we're looking to set up an event in town...yes in BIG London! It's all to be confirmed but we'll keep you posted. For updates and dates please e mail us and sign up to the mailing list. What is the East London Craft Guerrilla? "The East London Craft Guerrilla" is part of "The Craft Guerrilla", a project set up to work in conjunction with other crafts people, artists, designers and creative businesses. We're all for learning, networking, DIY-ing our own opportunities, sharing knowledge and experience with other crafty people! The aim is to take over empty available spaces and/or associate with “friendly” businesses and coordinate craft events that will generate sales for members and those associated businesses. stock, new shoppers to those businesses and they supply us with a space and their customer base. wares are made/designed by yourself. Send your info, a brief description of what you make or a web site address we can check out your handy work. *All members and non members must be vetted prior to joining. So what do I get out of it? By becoming a member of the Craft Guerrilla Army you’ll get first dibs on pitches. Your work/products will be showcased in our website with all your contact details which will hopefully generate sales and publicity for your work. Also you get the chance to forward your own ideas and venues for future events. We ask members to take it upon themselves to help “get the word out” as it’s in all of our interests to get as many shoppers to our events. Posters and flyers will be sent to you via email and all you have to do is print it and get it out there! You can make your own but we ask you use all information supplied. Also we ask that you mention the Craft Guerrilla name as a Link in your own web sites and publicity. Do I pay commission on any sales? NO! And we’ll be working with “friendly businesses” that also don’t. How much do I pay for a pitch? It’s all dependent on the venue rental and how much we can get it for but prices will be kept to a minimum as we also ask ourselves…How much would I be prepared to pay? Is there a charge for joining? All we ask is for a yearly donation of £20. That’s so we can pay for the web site domain, up keep and for paying the “computer monkeys” for their time imputing, uploading etc. (Website already in construction and coming soon!) This fee goes back into the collective. Sounds good but why should I pay? 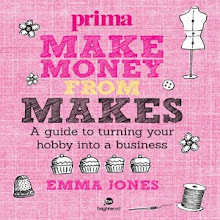 We’re not in this to exploit other crafts people we too are makers and this is actually about creating opportunities…a make your own opportunities kind of thing! Can I use the name "Craft Guerrilla"? Sure,but please ask before hand. 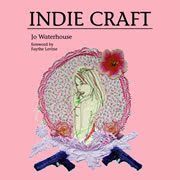 There's no charge in using the name, in fact we hope you like the idea so much that you will want to set up your own craft group... but we would like to know who's out there using our name and following our manifesto...besides it's polite to ask! We're all for sharing, passing on information and knowledge. You must however have a link on your web site to us "the mother ship" and we'll do the same for you! disillusioned artists and friends, Deborah Daniel and Ellen Jones. After years of renting stalls in various well known markets and associating with local craft groups, both decided that it was time for a change, time to step up the pace and "attack" from another angle. AND so the MANIFESTO was born. 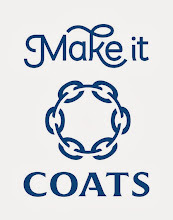 It's an idealism with regeneration, recycling, sharing and the revaluation of the hand made movement at heart. We're looking to promote our ideals by hosting events in unused spaces and liven things up a bit by hosting fun, lively events open to everyone! We want to show people the true value of hand made, hand crafted, high quality designed goods through our ethos of shared knowledge and experience gained by working with other creative individuals. "It's really difficult to run a creative business. You end up doing less of the making bit and end up doing more or the selling, advertising, PR, accounting, chasing up payments etc. It becomes too hard and also boring for just one person and that's why we thought that if we were doing the hard work anyway then could join forces with other like minded people, get everyone involved, networking and sharing our goals. You can learn so much from each other! Also it's really disappointing when you join a supposed craft GROUP and you end up doing a hell of a lot for the group as a whole and in the end you have other people blatantly taking the credit! The credit is unimportant but it's key to feel appreciated and not feel like someone's taken advantage of your good will and community principals which I absolutely respect and beleive in! BUT things have a tendency to fall into place naturally and things that are deemed as "a waste of time" just seem to fall off the radar. We want to make things fair, create our own opportunities not just for ourselves but for everyone involved with the Craft Guerrilla. The idea of starting up a collective CRAFT ARMY is something that really gets us excited! I (Deborah) make "Kawaii Noir" creatures and Ellen is a Jeweller. So as crafts people and artists we can understand how others too want to make a living from their own work. We've also been at it for a long time and through experience know how important it is to share the work load,the ideas and invaluable experience. The mission of the "Craft Guerrilla" is to learn, make and work in the company of other creative people. The East London bit is because that's where we are based and so to give others the chance to start up their own local Craft Guerrilla Groups and join the collective. It's socialism in principal but with a difference as we completely except that each individual has his or her own needs, expectations and ambitions ...we're just providing a platform!" The East London Craft Guerrilla is a group of Crafts People, Artists, Designers and Makers of quality hand made goods. The aim of The Craft Guerrilla army is to join forces with other creative individuals and set up craft events in vacant venues and associate with "friendly" businesses and other Craft groups. 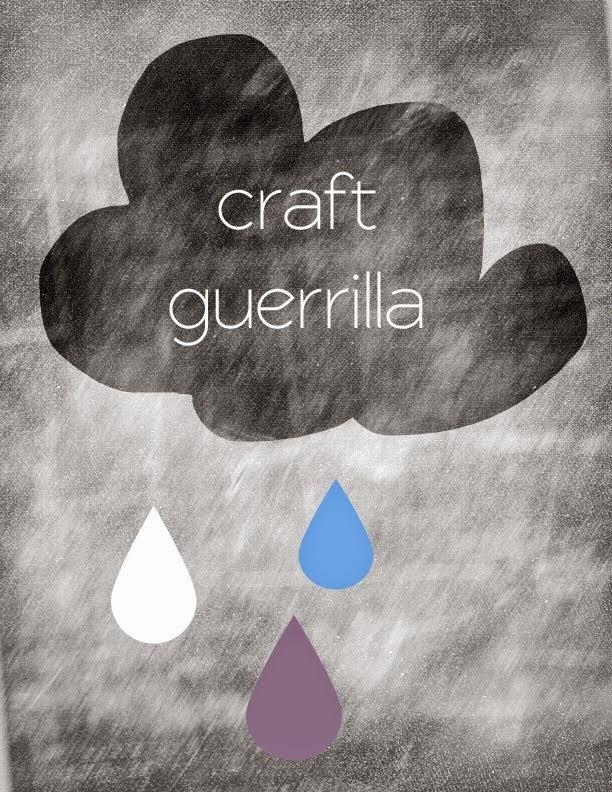 The Guerrilla Craft Army is taking on the world for a better hand made existence! 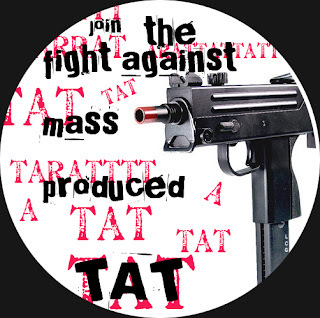 We've had enough of soulless, mass produced tat and so has the average consumer. We're a peaceful bunch but we're looking to create opportunities, we're ready to take action, take over and make our own! E mail me for information on upcoming Craft Events/Markets, joining the Craft Guerrilla Army* and for the low down and manifesto of the East London Craft Guerrilla. *All participants must be vetted prior to acceptance and for booking of spaces in our events. Sorry, but we need to keep the quality level at a high standard for all people involved.